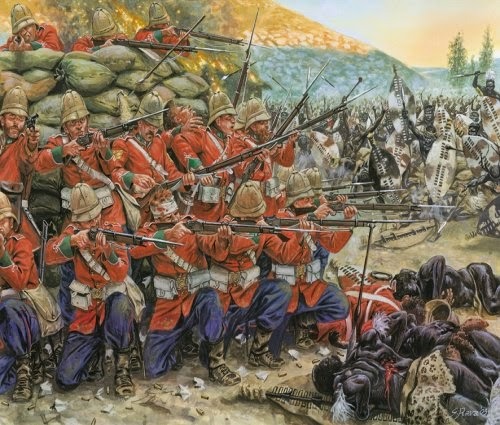 Here is a list of useful Anglo Zulu War links, if you know of any other links which you think should be included then by all means use the comment form below. 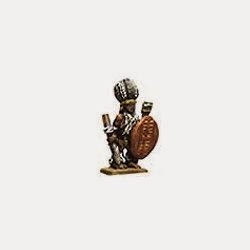 Magister Militum Miniatures do both British and Zulus figures, and a range of buildings. Left picture. 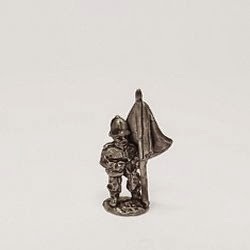 SUL1 British Infantry, High Porte. Right picture. 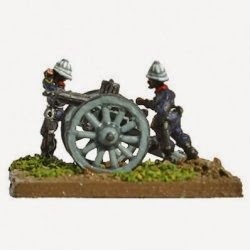 SUL2 British Infantry Firing. Left picture. 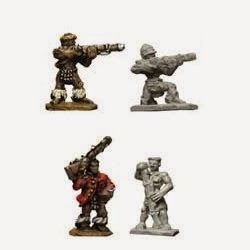 SUL5 Gatling Guns and Crew. Right picture. 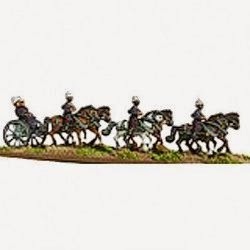 SUL6 Horse Artillery with Crew. Left picture. SUL8 Six Horse Limber and Crew. Right picture. 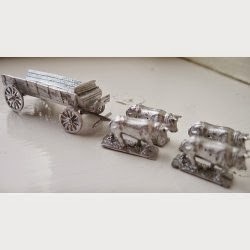 SUL9 Ox Drawn Wagon. 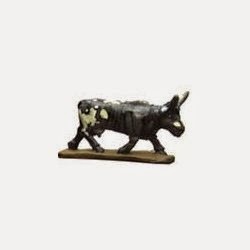 SUL11 Spare Oxen, no picture. 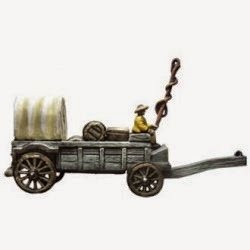 SUL12 Wagon, (no team, for camps), no picture. Right picture. 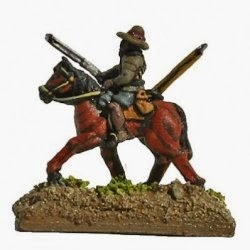 SUL24 Boer or Colonial Horse with carbine. Left picture. SUL30 Natal Native Horse. Right picture. 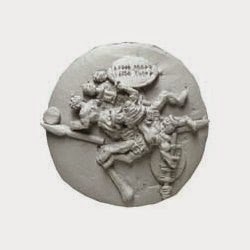 TMP14 Zulu Brigade (or small Impi). Left picture. TMP14r Zulu Brigade (or small Impi) some with rifles. Right picture. 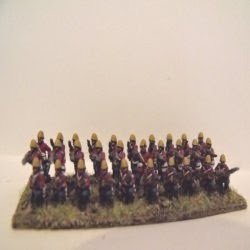 TMP15 British Infantry Brigade Zulu War. Left picture. 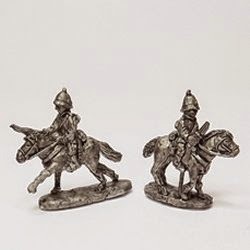 TMP16 British Cavalry Brigade Zulu War. Right picture. 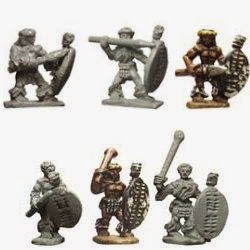 ZIP1 Mixed Warriors, Spears and Knobkerrie. 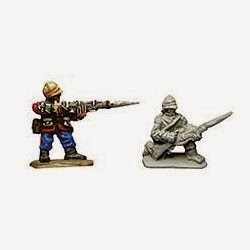 ZIP2 Mixed Warriors with Rifles, no picture. Left picture. 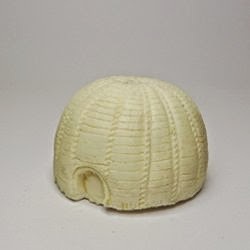 BD204 10 mm Oval Zulu Hut / Kraal. Right picture. 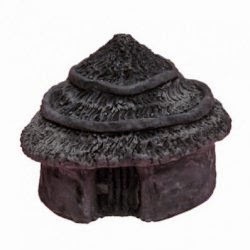 BD205 10 mm Round Zulu Hut / Kraal. Left picture. 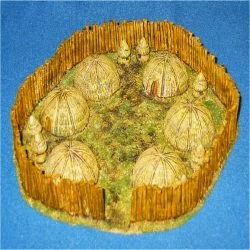 JR1695 Zulu Huts with Stone Wall x 2. Right picture. 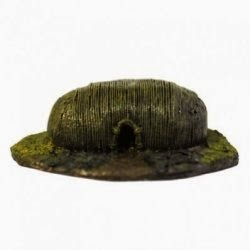 JR1696 Zulu Huts x 2. 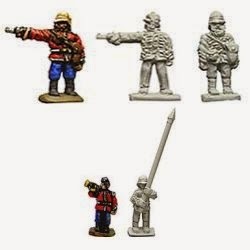 Newline Designs do both British and Zulus figures. Left picture. 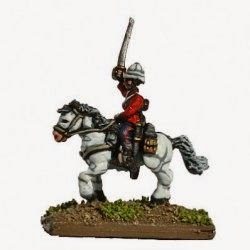 10Z01 Zulus in Wardress. Right picture. 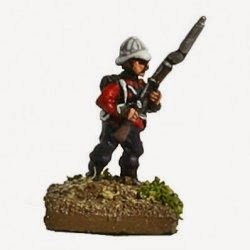 10Z03 British Infantry. 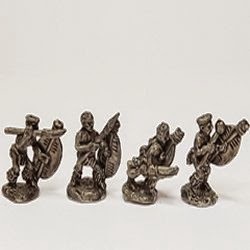 Old Glory Miniatures do both British and Zulus figures, and a range of buildings. 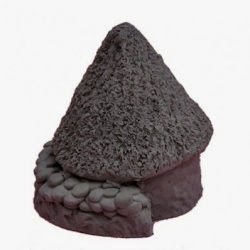 These people are extremely helpful and friendly and will help you in any way possible. 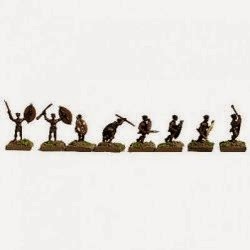 Old Glory 25s Miniatures do both British and Zulus figures, and a range of buildings. These people are extremely helpful and friendly and will help you in any way possible. 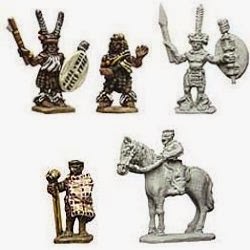 Old Glory Miniatures Com do both British and Zulus figures, and a range of buildings. ZUL-100 Married Zulus, no picture. ZUL-101 Unmarried Zulus, no picture. 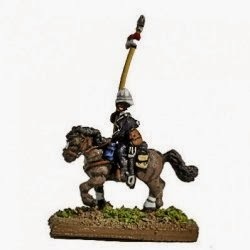 ZUL-102 Zulus Skirmishing with Rifles, no picture. 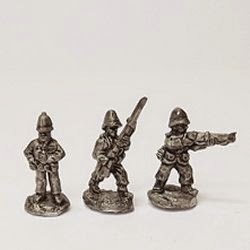 ZUL-103 British Infantry Command, no picture. 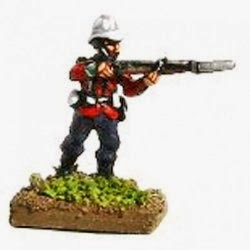 ZUL-104 British Infantry, no picture. Left picture. BLD-1033 Rourkes Drift. Right picture. 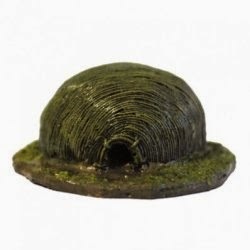 BLD-1034 Zulu Kraal. 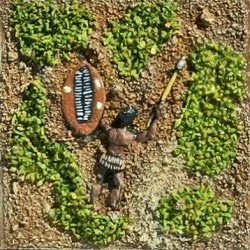 Pendraken Miniatures do both British and Zulus figures, and a range of buildings. Left picture. 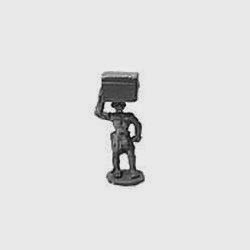 ZC1 Infantry, pith helmet. Right picture. 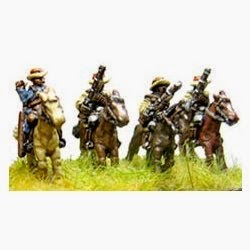 ZC2 Cavalry, Natal/Durban, mounted. Left picture. ZC3 R.A. Gatling gun (3). Right picture. ZC4 R.A. 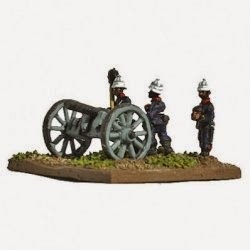 Artillery 9lb RML (3). Left picture. 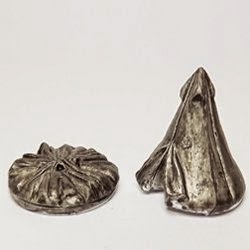 ZC5 Zulu's (with and without headdress). Right picture. 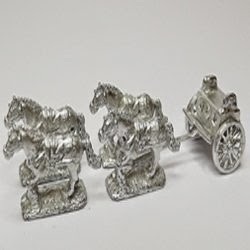 ZC6 Limber with 4 horse team (2). Left picture. 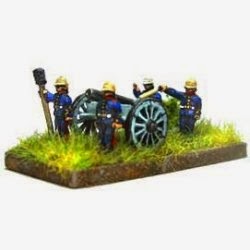 ZC7 Mountain gun with crew (3). Right picture. ZC8 Zulu command (10). 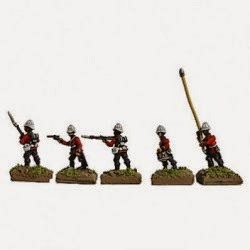 ZC9 British standard bearers (5). Left picture. ZC12 Natal natives, 18 foot, 6 mounted. Right picture. 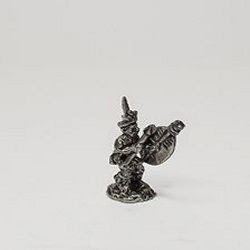 ZC13 Zulu chieftain (1). 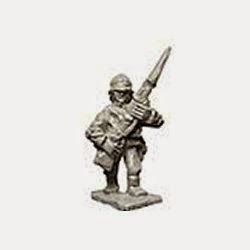 BW1 British lancer, no picture. 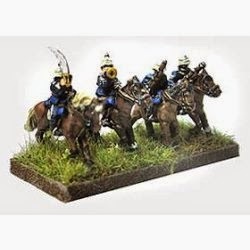 BW19 Mounted officers (4), no picture. 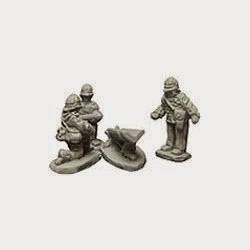 BW23 Dismounted foot, pith helmet (15), no picture. BW25 Heliograph team (3 teams), no picture. BW26 Oxen team (14), no picture. 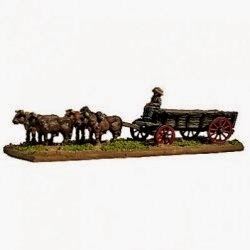 BW30 Wagon with oxen team (2). Left picture. ZC11 Bell tents - 3 erected, 2 dropped. Right picture. ZC10 Zulu hut (1). 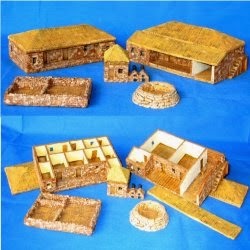 BW31 Block house, earthen roof, no picture. BW32 Block house, stone outer wall, no picture. 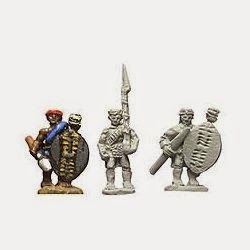 Steve Barber Miniatures do both British and Zulus figures. Left picture. 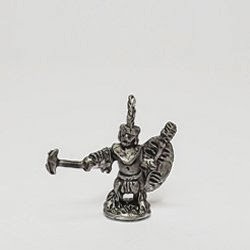 ZW1 Zulu Warriors x 20 (25 variants in all, randomly supplied). Right picture. ZW2 Zulus with rifles and captured equipment x 20. Left picture. ZW3 Zulu Command x 12. Right picture. ZW4 Piles of Zulu Dead x 4. Left picture. ZW5 uDloko regiment in full dress x 20. Right picture. 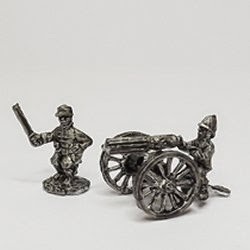 ZW7 British Infantry firing and loading x 20 (+ facial variations). Left picture. 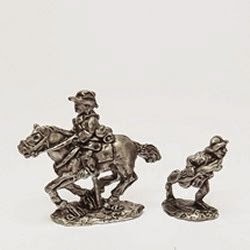 ZW8 British infantry advancing at high port x 20 (+ facial variations). Right picture. ZW9 British Infantry command x 12. Left picture. ZW10 NNC x 20 (includes some with rifles). Right picture. 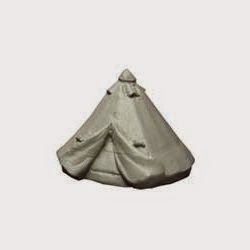 ZW11 Bell Tents x 4. Left picture. ZW12 Rocket battery x 2. Right picture. 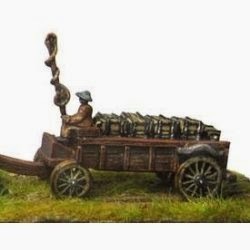 ZW13 Colonial Ox Wagon + 8 Oxen (no load). Left picture. ZW13 Colonial Ox Wagon Showing a different wagon combination with the included half tent. Right picture. ZW14 Natal Native Horse x 10. Left picture. ZW15 Oxen x 10. Right picture. 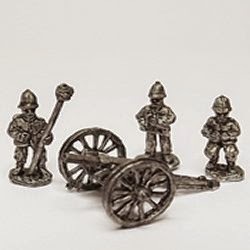 ZW16 Royal artillery canon and 4 crew. Left picture. 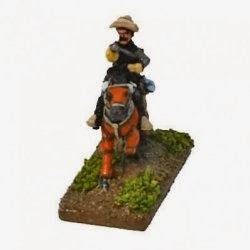 ZW17 Colonial Cavalry x 10 (may be used for mounted infantry). Right picture. ZW18 Native porters x 16. 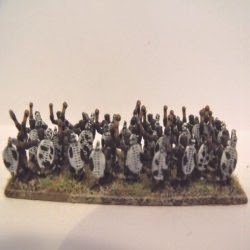 Ian Knight is a writer and historian who is internationally regarded as a leading authority on the nineteenth century history of the Zulu kingdom, and in particular the Anglo Zulu War of 1879. 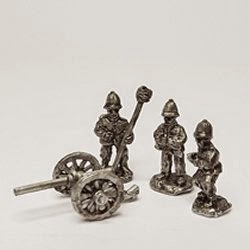 Superbly detailed site dedicated to the Zulu Wars period and information galore. The Diehard Company, 1st Battalion, Middlesex Regiment Re-enactment Group. 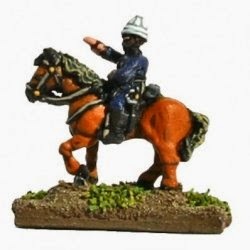 A website dedicated to all things related to the classic 1964 film ZULU.